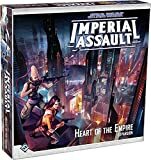 When Star Wars: Imperial Assault by Fantasy Flight Games first came out, I was one of the first to buy it from my local gaming store. 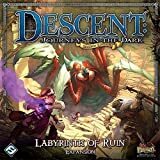 Fantasy Flight Games built this game on the engine of Descent, another game that I love. Oddly enough, this game sat on my shelf for probably just over four years. 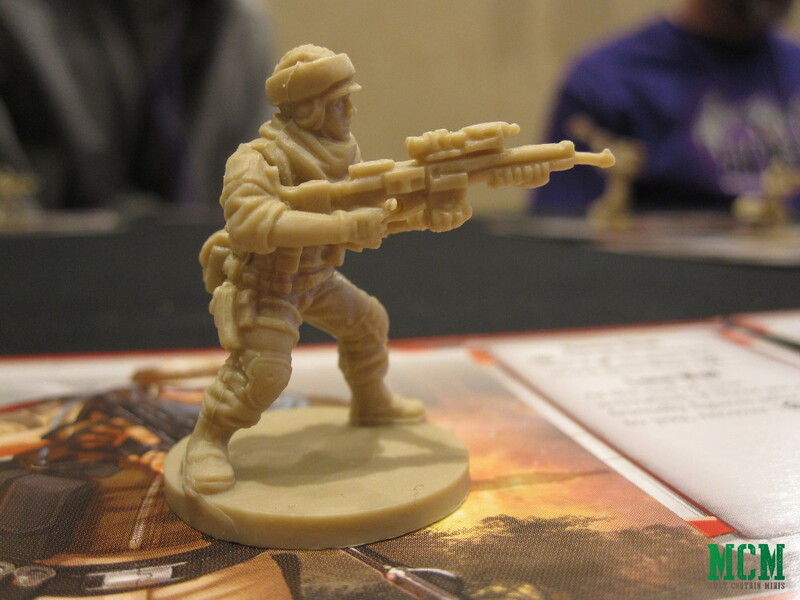 The minis in it are great and I really like that the game is 28mm. Finally, at SkyCon 2018, I gave the game a try. 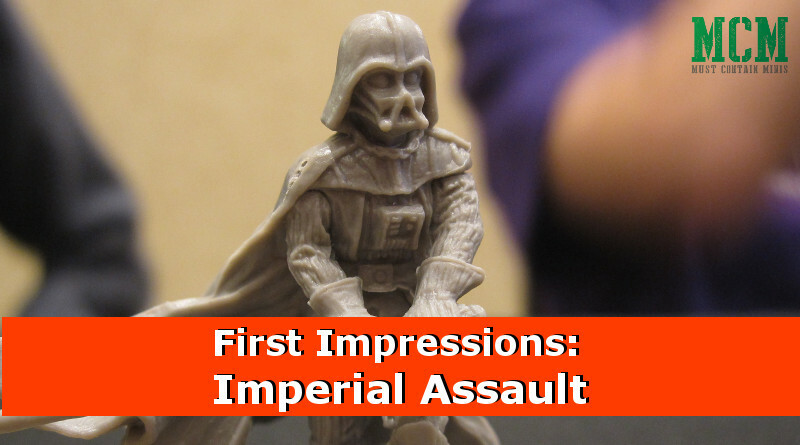 This post is my first impressions of Imperial Assault as well as a quick Battle Report. 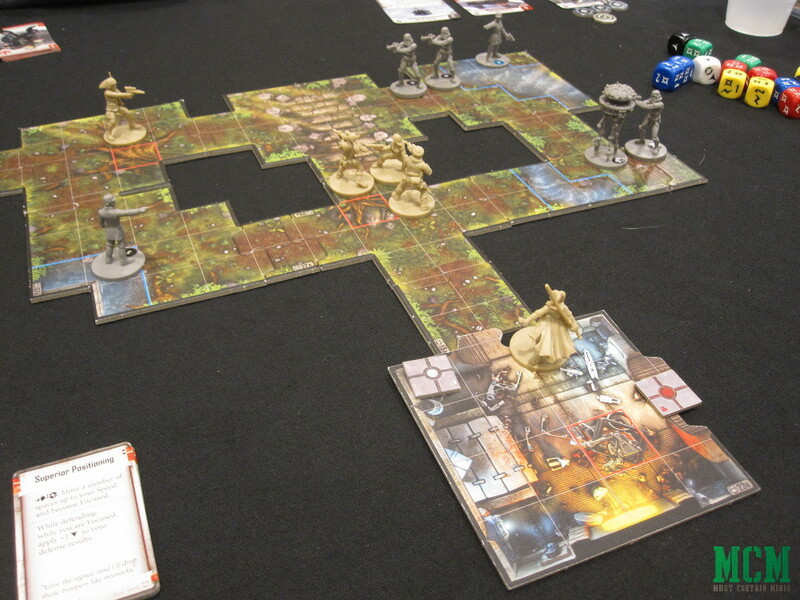 When I arrived at the gaming table, a large screen with the Imperial Assault App running greeted me at the table. Check this out! 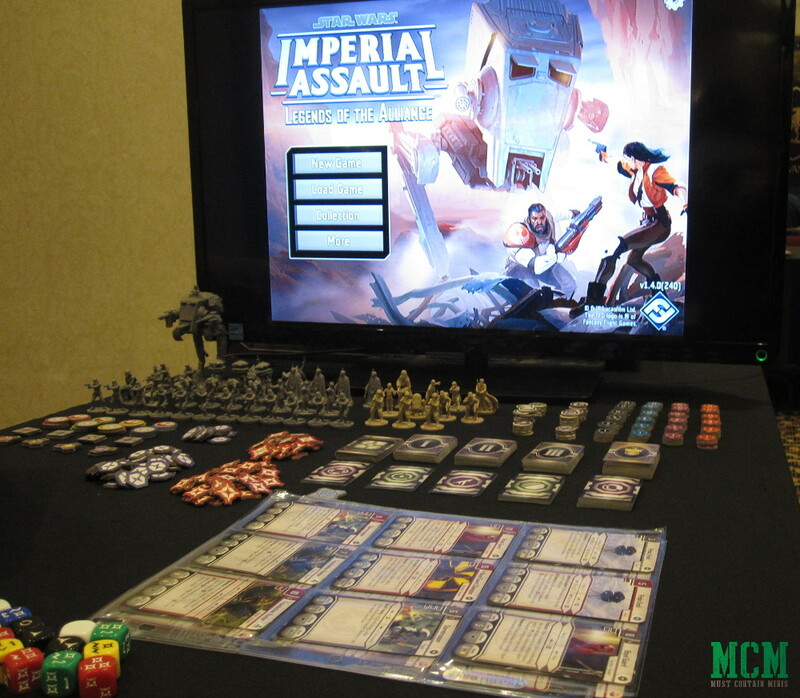 The Imperial Assault App running on a large screen TV. What a nice touch on a demo table for new players of the game. 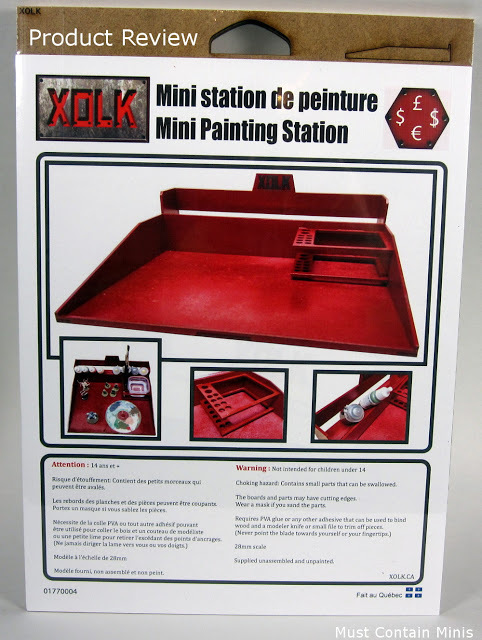 Please note that the miniatures in the picture above are from the base set as well as some of the expansions. 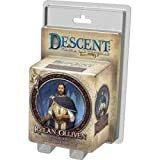 Our Game Master (GM) placed out the Character Cards and Miniatures for the players to choose between. The Heroes from the core box of Imperial Assault. 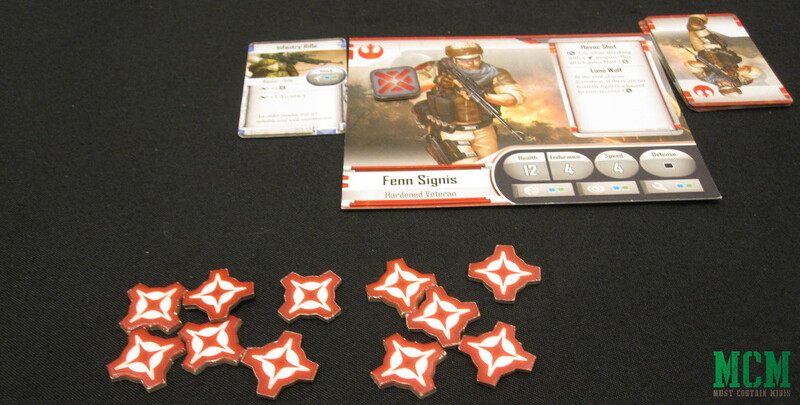 I chose Fenn Signis, the Rebel Soldier. Heavy Weapons and Rifles would be my specialty. I chose to play as Fenn. The miniatures in this game are really fairly nice. 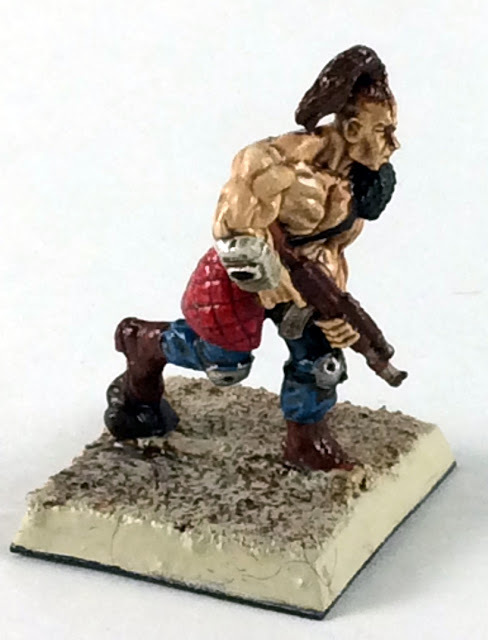 Fenn Signis’s Miniature. Looks pretty good, but that rifle could use a dip in hot water to straighten the barrel of the gun. The mission in this game was simple. Prevent the Imperials from reaching our base while we cover the escape of our Rebel friends. The game map is relatively small, but it is an introductory game and I believe this is the first map of the actual campaign too. I apologize that some of the pictures are slightly out of focus. 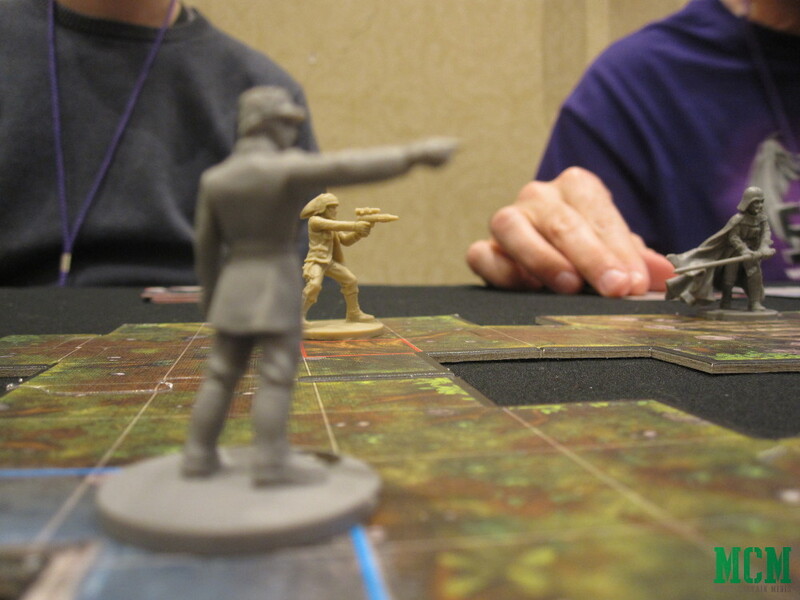 I decided to include this shots to help tell the story that unfolded on the tabletop before us. 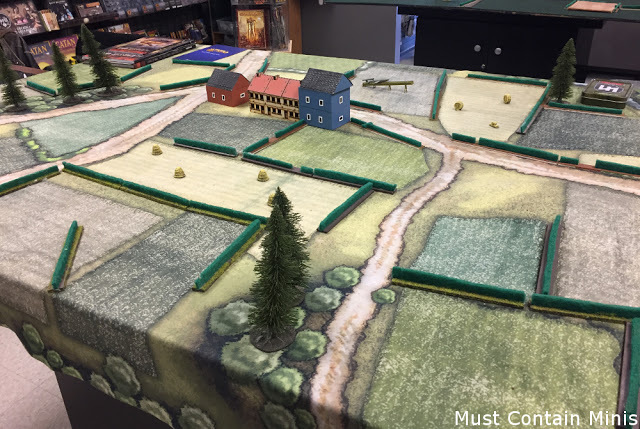 The table set up for our first mission. The cross marker (closest to the middle bottom of the picture) is the area that we had to prevent enemies from reaching. Right off, the top, we rushed forward to the centre of the map. 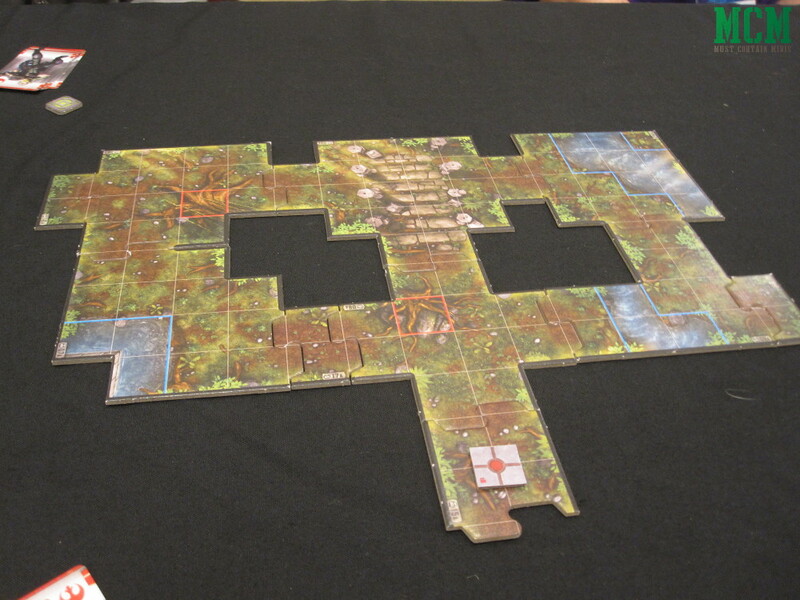 By doing so, we planned to cover the map quickly no matter where the enemies entered the board. 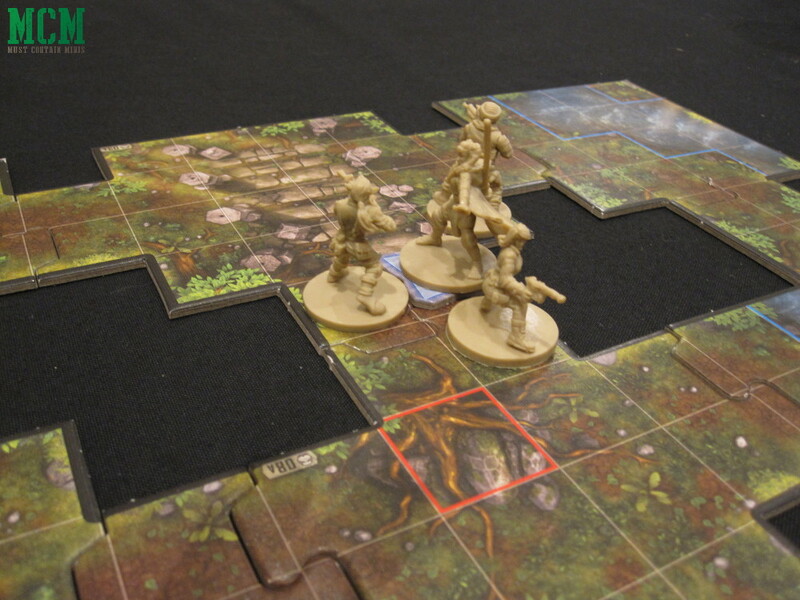 We set up in the middle of the board with the goal of preventing enemies from reaching the hangers behind us. The Imperials sent probes to find our positions. Oh oh!!! One arrives right in front of us. Oh, oh! An Imperial Probe!!! Kill it before it radios for help! Two more probes enter the field and our group manages to kill just one of the three. The probes radio for help and the assault is on!!! Immediately the Imperials bring on board a Heavy Weapon Operator on our left flank. This is not good! 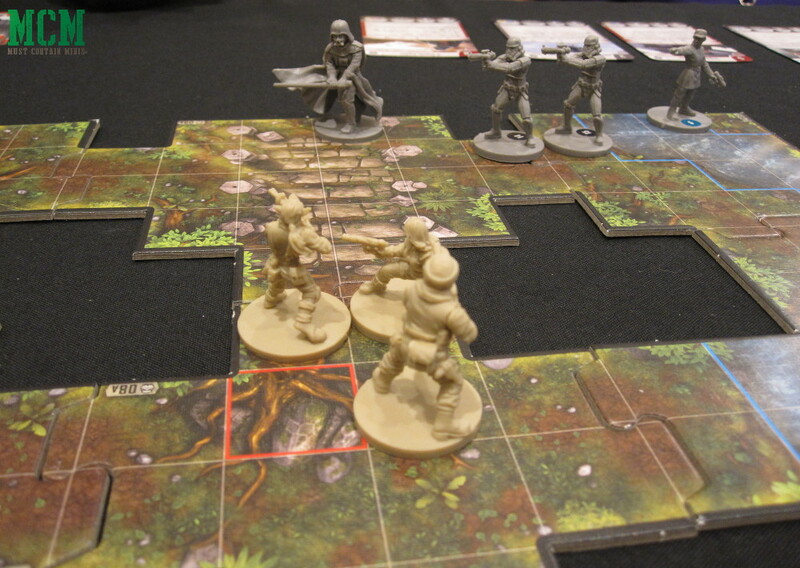 Quickly our small rebel team finds itself out numbered and outmaneuvered by a plethora of enemies. 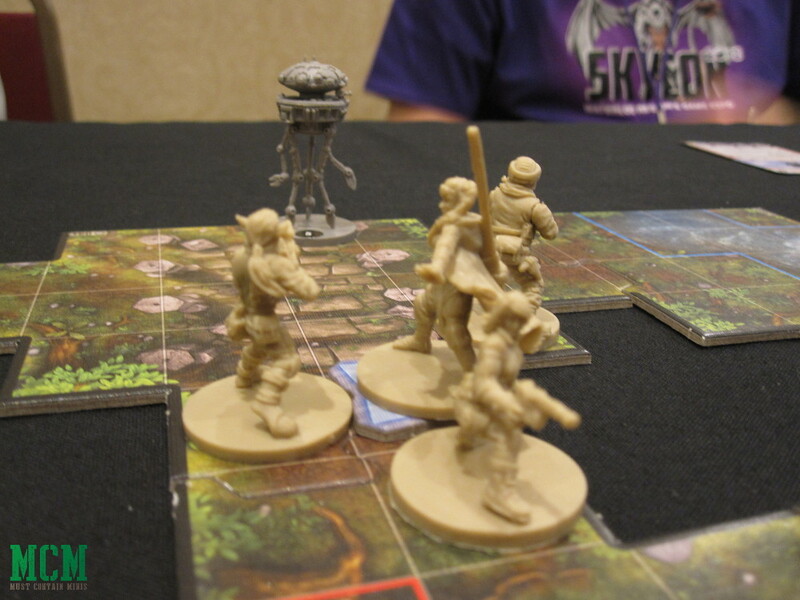 Fortunately, some Rebel Soldiers came in to help us out! The Battle starts and reinforcements arrive for both sides. 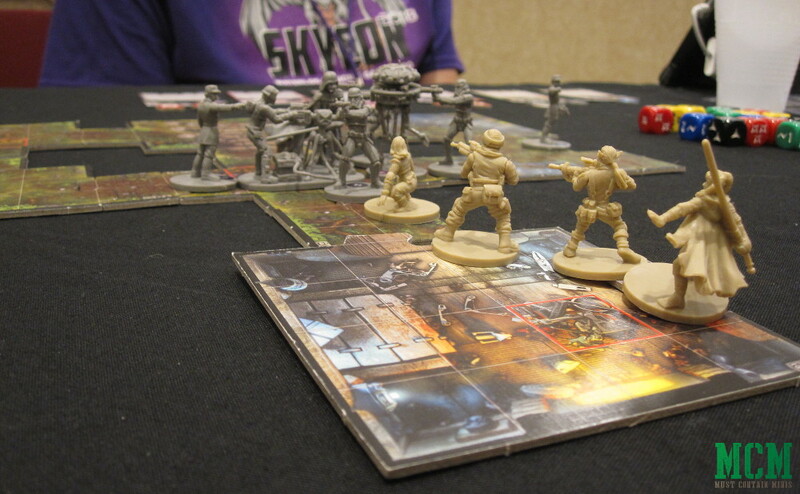 We send the Rebel Solders down the left side of the board to try to engage the Heavy Gun Operator. Meanwhile, our Melee Master (Jedi) became fully surrounded by Storm Troopers. Our Melee Master is in trouble!!! 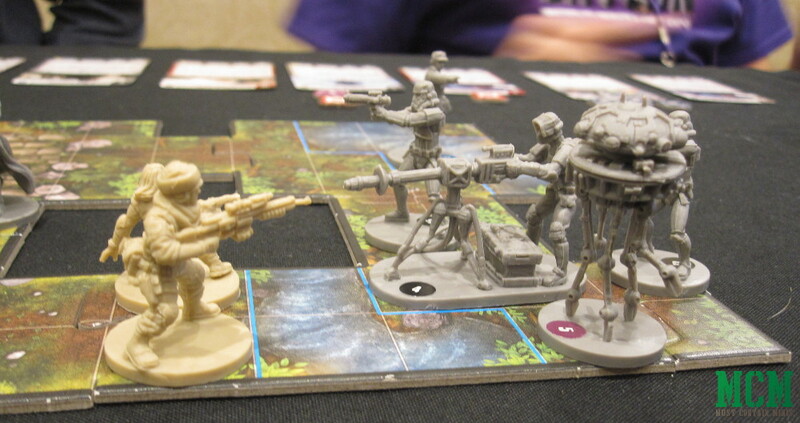 My character takes heavy fire from that Heavy Weapon and some Storm Troopers on the other side of the board. My Character now has 11 wounds out of his 12 health gone, leaving just 1 Hit Point before having to flip the sheet over to the poor health version of my character. With two of our four characters in serious trouble regarding their health, our team decided to withdraw from the battle. 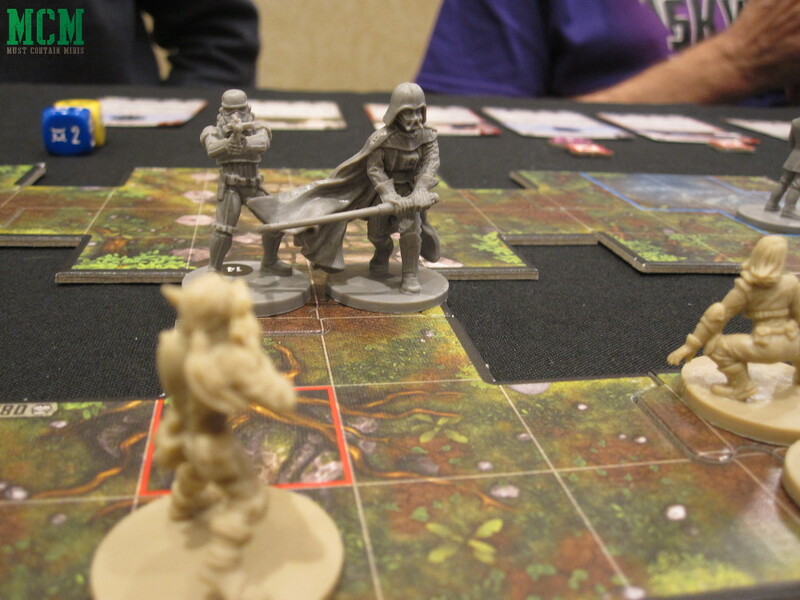 The other players would cover both my Character and the Jedi as we retreated to use med-packs (to regain hit points). Our characters retreat to heal themselves. Notice that one of the three Rebel Soldiers still lives (top left)! A supply drop also occurs and we have our Jedi close enough to check the boxes. At this time, the unthinkable happens. Darth Vader personally shows up to enter the base. At this point, Darth Vader enters the battlefield. Our poor Rebel Soldier would not survive this encounter. Our forces block Vader’s path, but we know we have no chance against him. We have to pull back! Lord Vader approaches with Storm Troopers by his side. Meanwhile, a large force appears on our right flank. 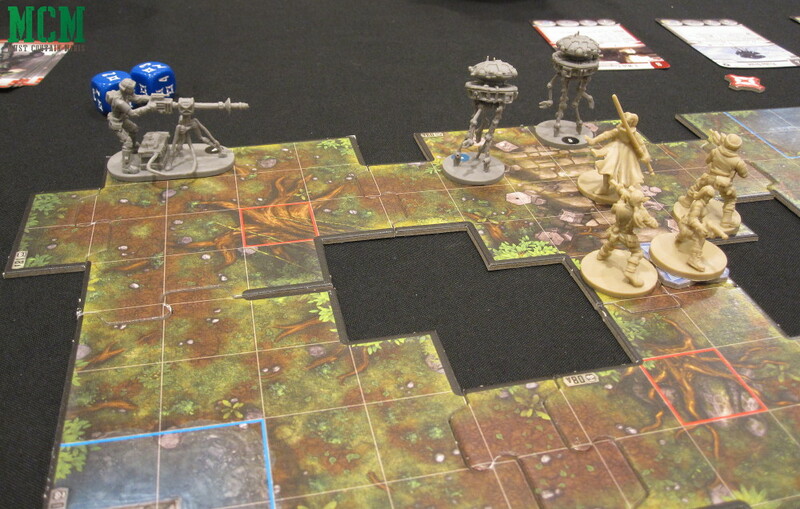 That’s me, Fenn, trying to hold off Imperial Forces while the Rebel Forces retreat. Yet Lord Vader continues to approach while our forces withdraw. Run guys! We have no chance against this guy! As you can see below, tons of enemies are still approaching, but we are let into the base and make our way to safety just in time! Our Heroes retreat to fight another day. Now, this was the end of our demo game. Why Haven’t I Played this Before!? 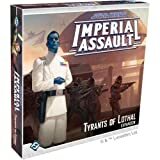 As stated above, I owned Imperial Assault for a long time, but never gave it a try. When I played this night, I had tons of fun and wondered why I haven’t tried it despite owning the game. 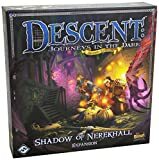 The reason is that I never had a dedicated group for a campaign game. When I bought the game, I don’t think the app existed yet and the game was 1 versus many. I could be wrong – maybe I just didn’t know about the app. I was also a Luddite in that I didn’t want to use an app for my board games, but I am glad I tried. The app is great and make the game playable in a cooperative setting. 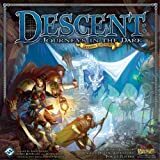 This is great for someone like me as I tend to end up as the Game Master and sometimes I just want to play the game as a Player Character. 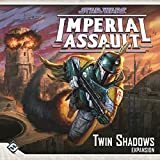 I want to thank Erik Growen for running this demo game of Imperial Assault. I had a great time! 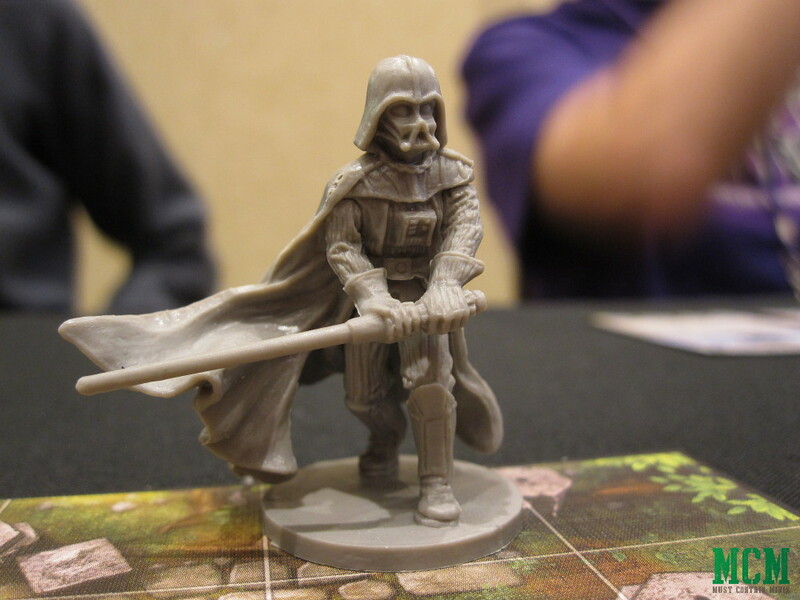 If anyone asks my thoughts on Fantasy Flight Games’ Imperial Assault, I think it is awesome! This game was a ton of fun. I bet you can guess that I liked the game. 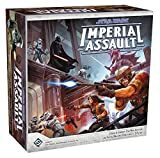 As a long time fan of Fantasy Flight Games and their Descent gaming engine, I really liked Imperial Assault. 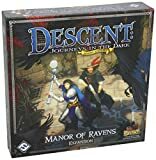 The game plays with a lot of familiarity for anyone that knows of the Descent rules. Miniatures get to move and fire, and if I remember right, you can move-move or fire-fire too. 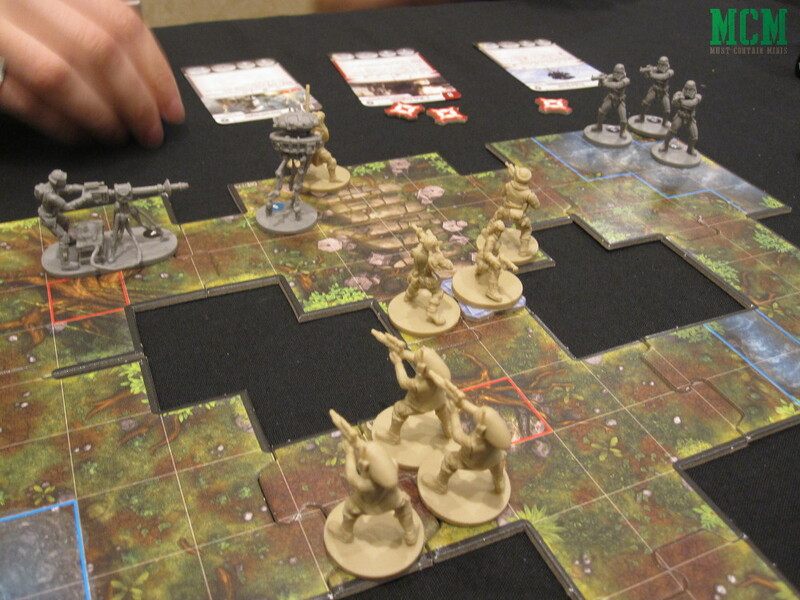 Attack ranges are determined by the numbers on the dice. You add up the numbers and if they are within that number of squares, you hit your target. The dice also determine how much damage you do and any special effects from your attacks. The app takes the GM role out of the game, which is a welcome change for someone who normally plays as a GM, but wants to try the game out as a player. The game felt challenging, but not overwhelming. Overall, I was very impressed with this game. 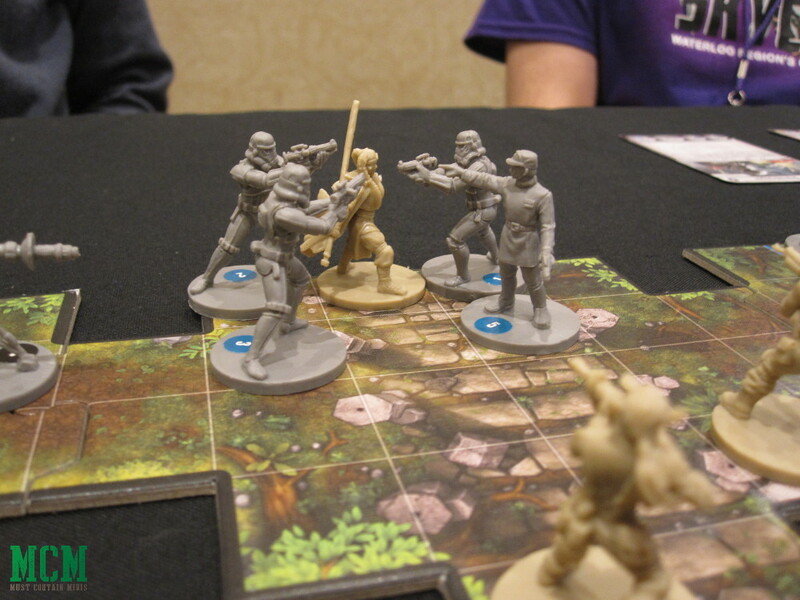 Imperial Assault is a fun, simple, and elegant game. This game has been in my collection for a long time, but sadly sat unplayed. Now that I have a taste of the game, I want to give the campaign a try sometime. 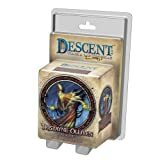 Special thanks goes out to the crew of SkyCon Games 2018 for providing Must Contain Minis with a media pass to their event.